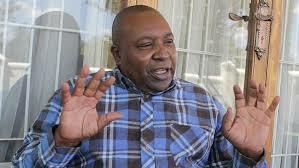 Former Zimbabwe Broadcasting Holdings’ (ZBH) chief executive officer Happison Muchechetere has been dragged to the High Court by a white farmer, who accuses him of confiscating his farm equipment. In the application, Stodart Brothers (Private) Limited is the applicant, while Muchechetere and a woman only identified as Chanetsa are cited as respondents. According to an affidavit by Robert Alexander Stodart, who is the director of the Stodart Brothers company, Muchechetere is barring him from collecting his equipment, despite having permission from the Lands ministry. “This is a court application for a declaratory order in respect of the following property that belongs to the applicant (Stodart Brothers), which respondents are refusing to allow applicant’s representative access to and to remove them from Buryhill Estate and Chikomo Chemhunga Farm in Chinhoyi, namely, 2 x steel structure sheds, 5 x metal grain silos, weighbridge, maize grading plant and tobacco steam boiler,” the court heard. Stodart told the court he is the previous owner of Buryhill Estate and Chikomo Chemhunga Farm, before the properties were compulsorily acquired by the government under the national Land Reform Programme in 2001. “Consequently on September 6, 2002, my family and applicant’s workers vacated from the two above mentioned farms. As a result of the sensitive nature of the land reform process at the time, applicant was not able to remove and take its movable property that was affixed to the land except for the movable property such as tractors and other farm implements,” the court heard. Stodart said he was later advised that the government would compensate for its acquisition. He further said that between 2004 and 2015, he was negotiating with the Lands ministry in respect of the compensation, which culminated in a permission letter from the Lands ministry secretary for him to remove the equipment. He said that he later engaged a contractor to remove the property to Banket but was ordered to stop the removal by Bothwell Mugariri, which forced him to approach the police for assistance. “However, I came across information on May 17, 2017 that one of the grain silos at Buryhill Estate was being dismantled and loaded in a truck. I visited Buryhill Estate and personally witnessed the dismantling of the grain silos. “The first respondent (Muchechetere) was only stopped from ferrying the dismantled silo by ZRP Banket, after he claimed that he had authority over the equipment and was tasked to come with the requisite documentation at Banket Police Station on Friday, May 17, 2017,” the court heard. Stodart, however, said Muchechetere could not be in a position to bring the requisite documents to the police, proving his claim to the property, resulting in the police ordering him to unload the property from trucks. He was later advised by the police that Muchechetere had no authority over the equipment but the ex-ZBH boss insisted that the property belonged to him. Stodart now seeks a court order allowing him to remove his equipment from the farms, adding that he has reasonable belief and suspicion that Chanetsa would do the same.